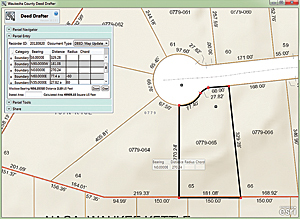 Mapping technicians can more easily enter metes-and-bounds descriptions from deeds and other documents and check for closure errors using a new ArcGIS Runtime application. Easily enter metes-and-bounds descriptions from deeds and other documents and check for closure errors using Deed Drafter, a new ArcGIS Runtime application. Deed Drafter complements the Tax Parcel Editing for Local Governments template and the ArcGIS Parcel Editor solution, helping improve the quality of parcel information for tax assessment offices, registrar or deed offices, private surveyors, title companies, and other similar organizations. It works with ArcGIS 10.2 for Desktop (Standard or Advanced license levels) and ArcGIS 10.2 for Server (Standard or Advanced license levels) or an ArcGIS Online for Organizations account. As part of ArcGIS for Local Government, Deed Drafter is built on a common information model. ArcGIS for Local Government maps and applications are configured with the ArcGIS platform and help local governments successfully implement GIS in cities, counties, and other government entities. They support functions in departments across local governments. Each map and application covers a core set of the work tasks performed by staff. Enter a single parcel traverse in the Deed Drafter data entry grid using bearing and distance calls and then save it as a cadastral XML file that can be appended to a new parcel and incorporated in the Parcel Editor workflow. Deed Drafter is deployed using either ArcGIS for Server or an ArcGIS Online for Organizations account. 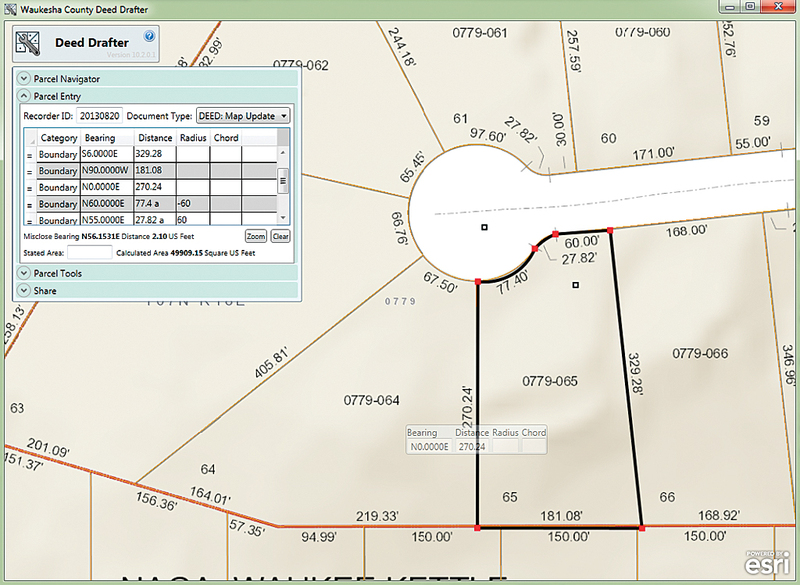 Download Deed Drafter from the ArcGIS for Local Government gallery at no charge. Developers who want to customize this ArcGIS for Local Government application can access the source on GitHub.